Comments: Known as the parlor palm, it is widely used as an indoor plant where light intesities are generally low. Upright, arching leaves arising from a relatively tight basal crown. Insects that can give some problem include scale, spider mites, and mealy bugs. 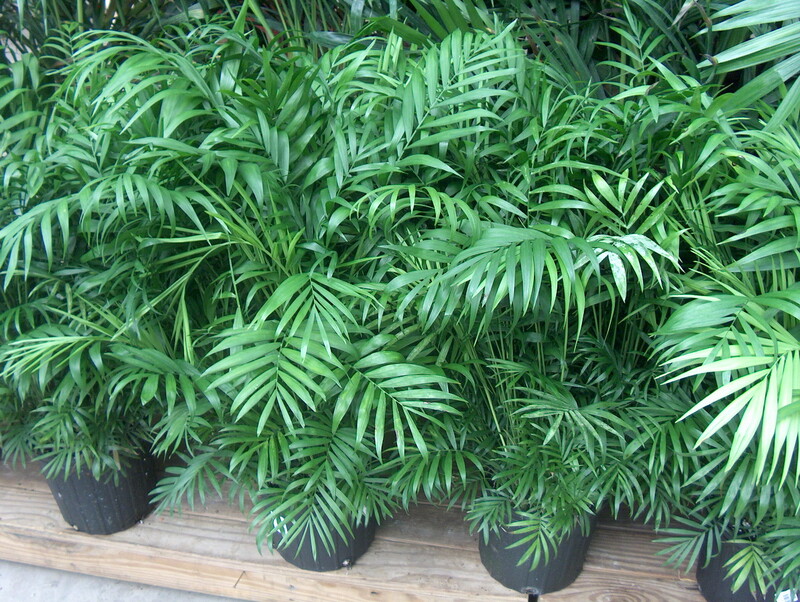 Fertilie indoor palms every couple of months when plants are growing in favorable conditions. Use a liquid indoor plant food. In positions where light is inadequate, rotate plant for better light conditions. Such positions might be near windows, on shaded porches, beneath canopy of trees, or in other outdoor, protected positions during the summer months. Never move indoor plants out into direct sunlight all at once. Leaf scorch will occur.